This is the type of card that when you first read it, you do a double take. The answers printed into Standard have been so bad for so long, that when we get a truly powerful card like this it just looks absurd. For a long time I have heard people make the request of adding Vindicate to Modern, stating that maindeckable land hate would go a long way towards helping fair decks against things like Tron. In all honesty, I think Assassin's Trophy goes above and beyond what Vindicate would have done in the format. 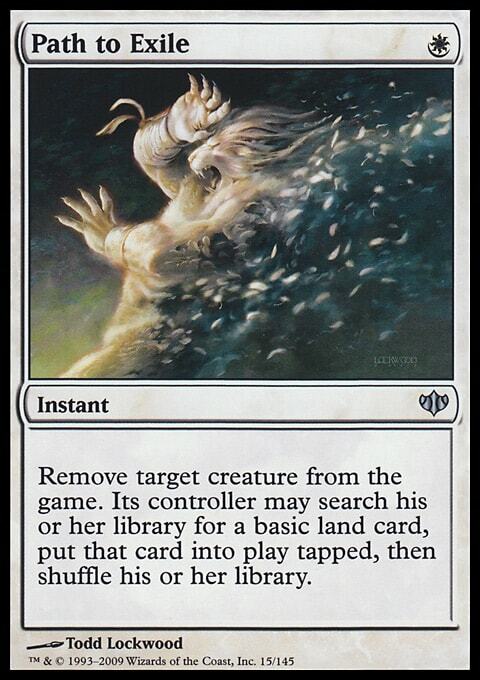 Not only is this unconditional removal, but it is cheaper than Vindicate and instant speed. Past these power level increases, the way this effect gets balanced a bit is by removing the ability to land screw someone by destroying their only land. I would really like to give major props to R&D for this card. It is an effect that gives us an efficient manner to interact with offensive lands - looking at you, Tron - while not being a tool that can be used to create non-games of Magic against fair interactive decks. Speaking of this card against Tron - this card is good against Tron for so many reasons. First and foremost, it is a main deck method of destroying a Tron piece. In the past, cards that were reasonable against Tron (like Crumble to Dust, Alpine Moon, or Damping Sphere) were all narrow enough effects that we had to keep them in the sideboard. 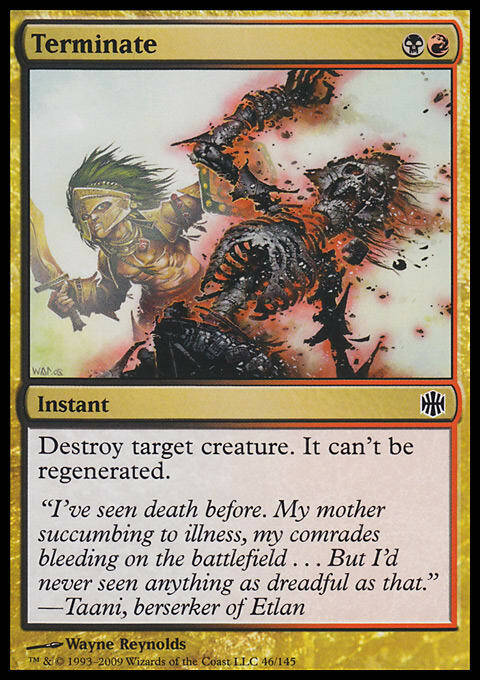 With Assassin's Trophy we can play this card in the main deck and not feel bad about drawing it in the non-Tron matchups. The second, and maybe most important, thing about Trophy against Tron is that it is almost always a live draw. Unlike cards that impact specifically lands, Trophy can help us catch back up if the opponent has had Tron online and stuck an impactful card like Karn Liberated or Ugin, the Spirit Dragon. This leaves us the question of where the best place to utilize this new answer in Modern specifically is. I have heard talk of people looking forward to slotting this card into Jund, Abzan, and even Sultai to gain access to Snapcaster Mage. The way it fills in for Path to Exile and Terminate is fairly obvious - Trophy is unconditional removal for larger threats like Gurmag Angler that Fatal Push comes up short against. 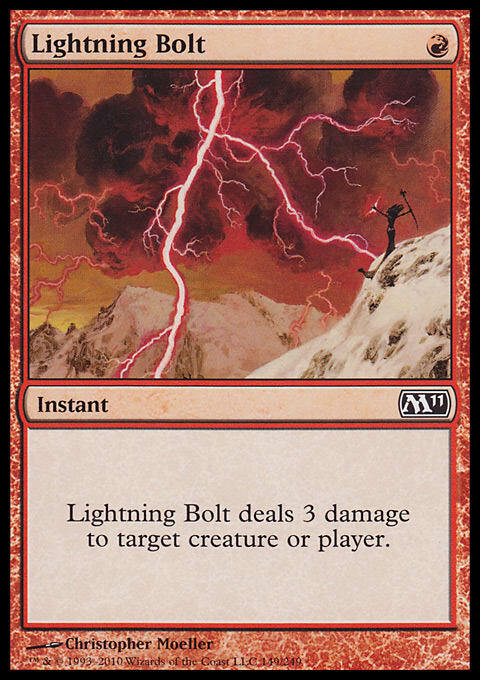 It serves some of the same role as Lightning Bolt in that Trophy gives us a method through which we can keep opposing planeswalkers in check. Previously, straight had to rely on just a couple copies of Maelstrom Pulse to keep walkers in check. I would like to start with pointing out that I’ve included four copies of Assassin's Trophy. This isn’t a mistake. This isn’t because I want to test the card and then likely scale it back after drawing it a few times. This is because I am fairly confident this will end up being the correct number. This is ’s Path to Exile. This is ’s Lightning Bolt. This is a card that will have applications in almost every matchup in Modern. It will always have a text box of some relevance regardless of whether we are playing against Burn, Control or something in between. Play four copies. Personally, I am glad to no longer need to hem and haw over which selection of Cast Downs, Dismembers, and even Go for the Throats might be optimal for a given event. The biggest thing an addition like Trophy does for a fair deck like this is helping with the number of different strategies we can be prepared to beat. The primary complaint players playing decks like Rock in Modern have had in the past is that there were simply too many decks for us to have a reasonable plan against all of them. With Damping Sphere, Collective Brutality, and now Assassin's Trophy, this is becoming less and less true. Not only are some of these cards maindeckable, but they all cover multiple matchups. The above decklist is the first time I have ever been able to put together a Rock list with multiple pieces of graveyard hate in the sideboard and not felt like I had to sacrifice in a plethora of other matchups to fit it all in. Those who have followed my iterations of will note that I have finally retired the Fulminator Mages with the addition of Trophy. I have not, however, cut the copies of Damping Sphere from the sideboard. Just because we have better tools for beating Tron does not make the matchup an “auto win” by any means. Tron is absurdly consistent at what it does, so the more hands that can have disruption in them, the better. Past this, Damping Sphere is not just good against Tron - we will be happy to have Sphere when playing against decks like Storm and Ad Nauseam. Regardless of my personal feelings on versus other midrange variations of the Rock, I think one thing is for sure - Assassin's Trophy is going to quickly become a Modern staple. In a format with such a variety of different threats, a card as flexible as this will find a home in most decks that can make mana. What are your thoughts on Assassin's Trophy? Is my speculation here reasonable, or will it simply be just another removal spell to choose from in Modern?